This is Kota! 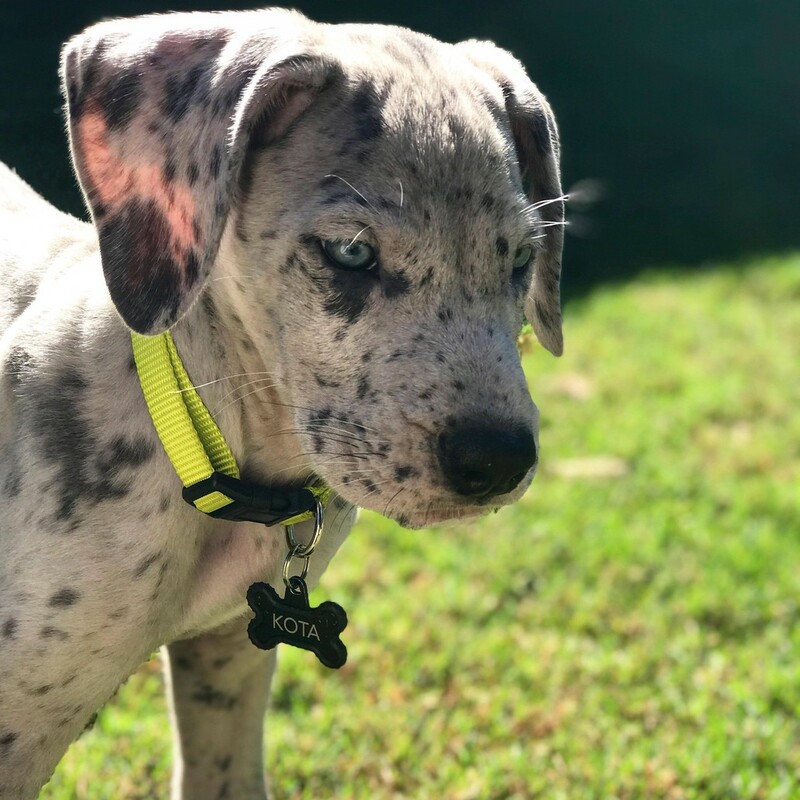 He is a Great Dane! He loves to play in the grass (and eat it too). 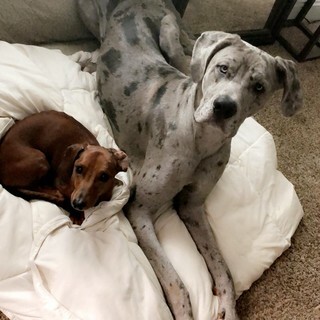 He loves to snuggle and play with his puppy friends! And he LOVES getting spoiled with Pure Paw Pure Alaskan Salmon Oil in his food every morning! 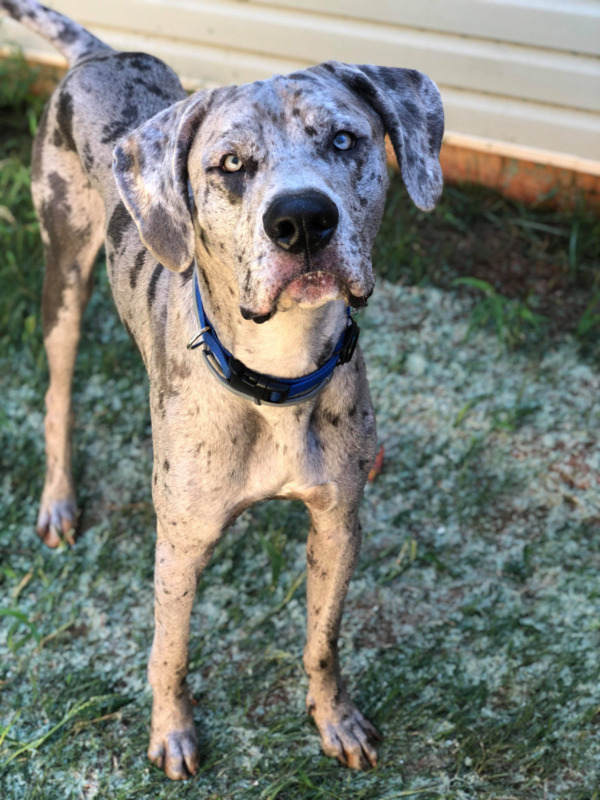 He is only 17 weeks old! Still a baby!! 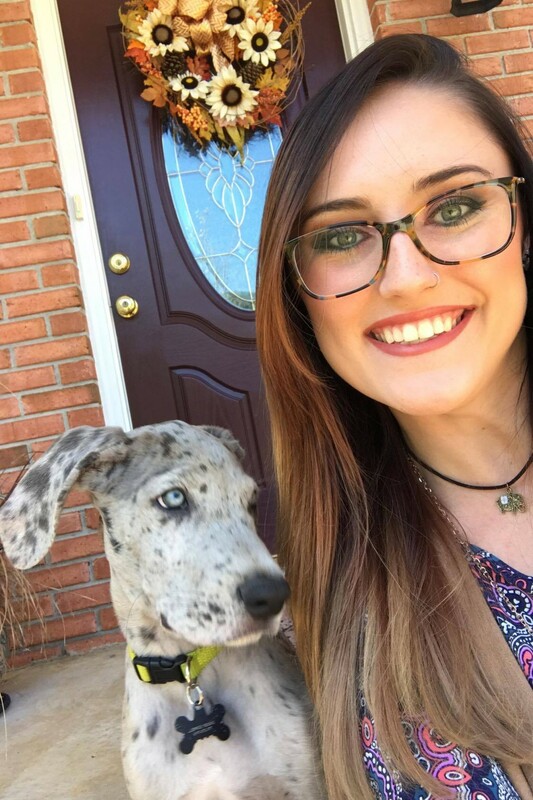 He is a blue Merle Harlequin Great Dane! I met him through a lady in Trion GA who couldn’t keep him! He is still learning how to handle his big, growing legs! He’s always tripping over them! He LOVES to eat! He growls when he’s hungry so I know exactly when he needs to eat! He loves to go to the park and meet other puppies! 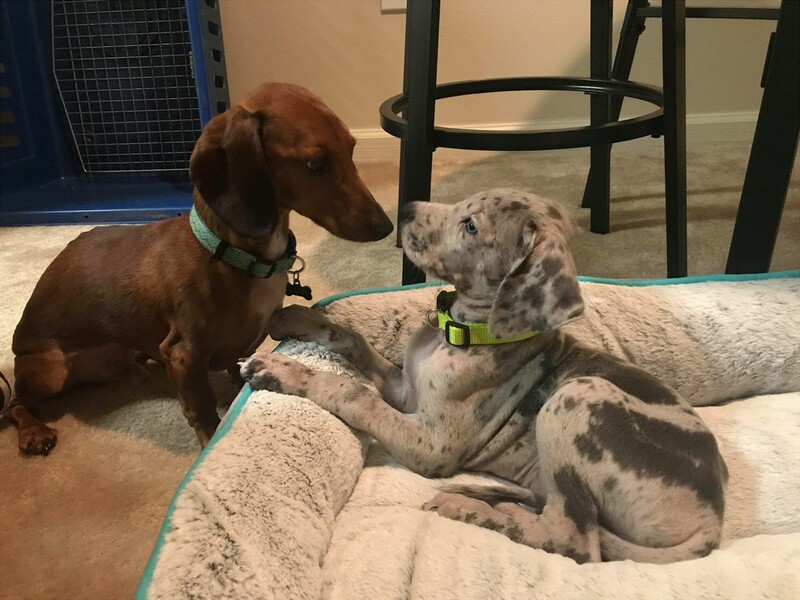 He is very good with other dogs and loves to play with his brother, Gunner, who is a dachshund! They play all day every day! He loves his rope toys! 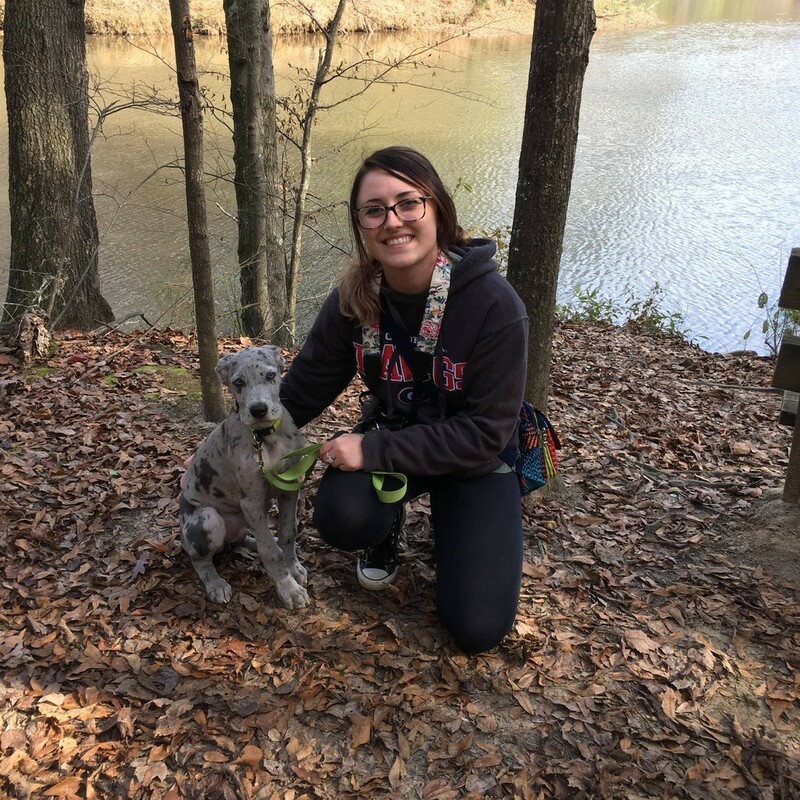 Kota is a year and 4 months old Great Dane. 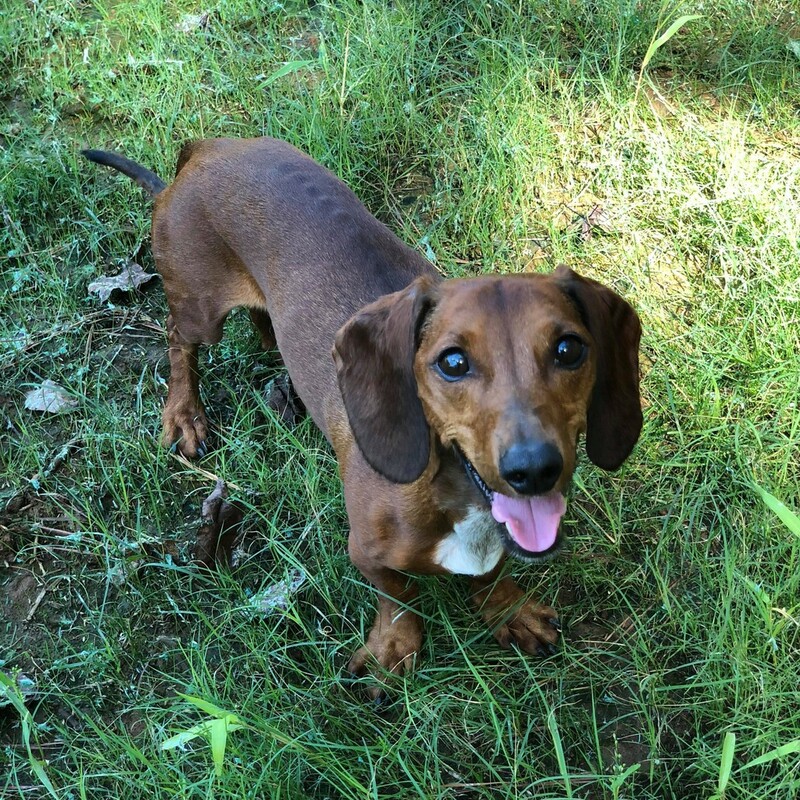 Gunner is a 12-year-old Dachshund! I met Gunner when I met my fiancé and instantly fell in love with him! And I met Kota through a lady who couldn’t keep him! I started using Best Paw because Kota has had severe bouts of diarrhea since he was a little pupper. The salmon oil has helped him tremendously and Gunner also loves it too! Their coats are so soft because of the salmon oil! They get compliments all the time about how soft they are! They love to play with each other and hound the cat! Kota's biggest quirk is the fact that he loves to have his paws held and rubbed lol and he gets the severe zoomies! And Gunner just loves to snuggle and sleep most of the day. I started using Best Paw because Kota has had severe bouts of diarrhea since he was a little pupper. The salmon oil has helped him tremendously and Gunner also loves it too! Their coats are so soft because of the salmon oil! They get compliments all the time about how soft they are! They love to play with each other and hound the cat!